Please note, the information provided below relating to NCADA’s associate members, including links to such associate members’ external websites, is provided for informational purposes only and does not constitute or imply an endorsement of any company, product or service by NCADA. Further, the descriptions of associate member products or services included below have been provided by the individual associate member and have not been independently reviewed, screened, verified, or updated by NCADA. NCADA makes no representations as to the truthfulness, reliability, or accuracy of the information provided. NCADA urges that any party who is considering obtaining any products or services from any outside source, including the associate members identified below, should first conduct its own independent review of the reliability and reputation of such outside source, and that legal counsel should be consulted before entering into any contract or agreement with the outside source. ACV Auctions is turning the wholesale industry upside-down as the fastest growing independent auction in the nation. With ACV you save money, increase your reach, optimize your wholesale inventory process, and gain time to run your business. Fueled by smart data and predictive analytics, Affinitiv uses innovative marketing and software solutions to identify your target audience and speak directly to them throughout their customer journey. As healthcare expenses continue to rise, finding benefit options that help you and your employees can be challenging. American Fidelity provides a cost-effective solution by offering Health Flexible Spending Accounts (Health FSAs) for your employees to set aside money on a pre-tax basis to pay for everyday medical expenses. With increasing deductibles causing larger gaps in health coverage, you may be exploring ways to assist your employees in covering their out-of-pocket expenses. A Health Savings Account (HSA), paired with a qualified High Deductible Health Plan (HDHP), allows your employees to set aside pre-tax dollars to help pay for eligible medical, dental, and vision expenses. Employees own these accounts—meaning funds carry over from year to year. Supplemental benefits can also provide both you and your employees with financial relief. They can assist in giving you peace of mind, knowing your employees will have coverage when they need it. Complement your major medical plan with options like Disability, Cancer, Accident, Critical Illness, and Life Insurance today. Ultimately, a solid benefits program can help ease your worry and workload, while also helping provide employee job satisfaction. Nationwide, we serve nearly one million customers and 12,500 employer groups. As a specialist in your industry, American Fidelity can provide you with a different perspective — a different opinion. American Financial & Automotive Services, Inc. is a comprehensive F&I development partner dedicated to maximizing dealership profits. With over 40 years of experience, American Financial has become a leader in the industry by helping dealers achieve the highest levels of success and by consistently exceeding clients’ expectations. American Financial creates growth for all areas of the dealership by providing extensive development services through local Dealership Development Managers. Centered at the core of American Financial’s offerings are MasterTech™ and the Automotive Training Academy (ATA). MasterTech, the company’s vehicle service contract and ancillary program, is an industry leader for coverage and administration while the ATA specializes in preparing automotive professionals for today’s retail opportunities. In addition, American Financial is proud to offer a complete portfolio of dealer-endorsed F&I products and award-winning training to North Carolina dealers. We are Auto/Mate Dealership Systems, a leading provider of cutting-edge software solutions for the automotive industry. We were developed from the ground up, by people who understand what it truly takes to keep a dealership running at its best. Our team has a combined total of over 250 years of dealership experience. Over the years, we have become a complete Dealership Management System (DMS) provider. What differentiates us from our competitors is that we allow our customers to choose between a web based network or a server based network, we offer them free training and free software upgrades for life, and we provide them with the best reporting system. AutoPoint | TitleTec provides a suite of title and registration software solutions to automobile dealerships. AutoPoint’s titling solutions streamline dealership efficiency while saving time and money by replacing the manual processes used to title and register motor vehicles with industry-leading web-based solutions. The ease of use, proprietary technology and industry leading customer service has made TitleTec a trusted leader in title and registration software. Through its Dealer Financial Services unit, Bank of America provides retail loan financing and the full range of commercial banking services to dealers in the automobile, recreational vehicle, and marine industries across the United States. These services include comprehensive inventory financing, commercial loans, depository services, and merchant and treasury management services. Bank of America has relationships with thousands of dealer clients and manages over $60 billion in consumer and commercial loans through Dealer Financial Services. Bass Sox Mercer is a nationally recognized law firm whose practice is devoted solely to the representation of automobile, heavy truck and motorcycle dealers. The firm advises dealerships and dealer associations on various issues, including franchise law, merger and acquisitions, F&I compliance, successions, terminations, add points, warranty and incentive audits/chargebacks and franchise and consumer related litigation. At BB&T Wealth our advisors coordinate and integrate all facets of our client’s financial lives and that of their business to create a comprehensive financial strategy. The result is a team approach that integrates decisions related to investments, the strategic use of credit, tax considerations, liquidity needs and philanthropic goals to produce optimum results on their behalf. Better Car People is a group of automotive and software professionals driven to bringing cost effective solutions to car dealerships. Currently, we have over 1,100 products in dealerships across the country and our core products Overnight BDC for Sales and Overnight BDC for Service assist dealerships in making timely and relevant responses to sales and service leads. By using real people and current technology we will send out the ideal first response to help engage the customer, turn off the manufacturers clock and log the response into a dealership’s CRM. The founders of Better Car People believe in providing the best, most reliable product coupled with outstanding customer service to assist dealerships in providing a great first impression with their clients. Whether you’re looking for floor plan loans, commercial loans for real estate or working capital financing, it’s important to partner with a financial institution that understands the needs of auto dealerships. Our dealership finance specialists will work with you to develop a strategic plan, of industry-specific solutions, for your business’ needs—both now and as you grow. BB&T offers a variety of financing options to dealers across the Southeast and Mid-Atlantic. Services include floor plan financing, as well as competitive indirect financing programs. Our decentralized regional buying centers are committed to providing fast, responsive, personal service. Plus, the unique strategic partnership of BB&T and Regional Acceptance Corporation ensures a complete range of financing options to meet your standard and non-standard financing needs. Founded in 1872, Branch Banking & Trust is North Carolina’s oldest bank and has served auto dealers for more than 30 years. Broadway Equipment Company specializes in providing automated car wash equipment, chemicals, and service for automotive dealers. Auto Butler is a customer retention system that leverages the necessity of paint protection reapplication to bring customers back to the dealership for exterior maintenance; automated polisher included. CallSource, the original inventor and patent holder of call tracking technology, operates over 2.5 million local and toll free lines for hundreds of thousands of businesses across the U.S. and Canada on secure, redundant platforms. Our newly patented Sales Profit Management System (SPM) is specifically designed to measure dealership performance, identify profit leakage and increase your bottom line – guaranteed. Our system partners our call management and deal saving technology with a network of top industry solutions ( sales training, call center services, buyer incentives, etc.) to increase your sales and profitability. For more information go to www.callsource.com. Count on Cardinal Business Forms for the best customer SERVICE in the business, bar none; cost-effective, high-quality SOLUTIONS for your business forms needs and document inventory management and intelligent INNOVATION when it comes to unique products and services to boost current customer retention and satisfaction. Caudle & Spears is a full service law firm for small to mid-sized businesses and business owners, professionals and other high wealth individuals, as well as local individuals and families. With offices located in Charlotte, we have experienced attorneys licensed in both North Carolina and South Carolina. litigation of all types of commercial disputes. And in particular, our firm has substantial experience assisting North Carolina and South Carolina automobile dealers and their principals in all these areas. Our firm also regularly represents individual clients in a variety of personal legal matters, including estate and gift planning, estate and trust administration and disputes, and even significant personal injury claims, among others. Regardless of your legal needs, our attorneys will bring their experience, skill and strategy to bear to help you achieve your goals. Nexstar Media Group purchased WNCN-TV/CBS 17, a CBS affiliate, as part of the acquisition of Media General. WNCN-TV/CBS 17 serves 23 counties in the central part of North Carolina from its studios in Raleigh. The station first signed on in 1988 as an independent station. In the fall of 1995, the station became the market’s NBC affiliate. In 1996 NBC Network purchased WNCN-TV and operated the station until it was acquired by Media General in 2006. In recent years the station has received numerous awards including four Edward R. Murrow Awards and ten Regional Emmy Awards. On February 29, 2016, the station switched affiliations and became CBS North Carolina, bringing “America’s Most Watched Network” to viewers. The station brand has evolved to be CBS 17 News making a name for itself as a news leader with a commitment to local investigation and a heightened focus on local news gathering in one of the nation’s most competitive media markets. The station launched CBS 17 Cares in the fourth quarter of 2018, further demonstrating the investment by WNCN-TV/CBS 17 in the Raleigh/Durham/Goldsboro/Fayetteville community. 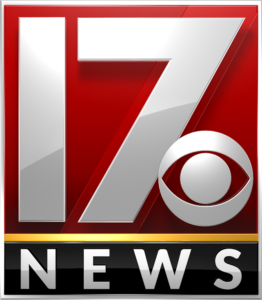 WNCN-TV/CBS 17 is the source for “Local News That Matters”. Chrome Enhancements started out as a direct to business distributor and installer and grew into one of the countries largest automotive accessory retailers. We pride ourselves on not just our customer service but also on our ability to help our customers find exactly the parts that they need for their vehicle. Chrome Enhancements is dedicated to providing the finest Automotive Accessories available anywhere. We’re confident our chrome and black-out products will make a noticeable difference in your ride! But we don't just offer accessories! Chrome Enhancements also specializes in services such as headlight restoration, black and grey plastic restoration, and odor removal systems. Let Chrome Enhancements help your inventory get more attention and move quickly. CLA exists to create opportunities for our clients, our people, and our communities through industry-focused wealth advisory, outsourcing, audit, tax, and consulting services. Whether your needs are local or abroad, we promise to know you and help you. 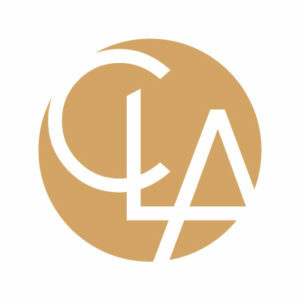 CLAconnect.com Investment advisory services are offered through CliftonLarsonAllen Wealth Advisors, LLC, an SEC-registered investment advisor. Comerica focuses exclusively on new car dealerships and with $7.5 billion in outstandings to more than 600 dealerships in over 40 states, our financial advisors specialize in the dealer services industry. From strategizing growth opportunities to optimizing inventory cash flow to financing strategic acquisitions and floor plan financing, we bring a wealth of insight and experience to help dealerships prosper. With an average management tenure of 25+ years, our Dealer Services team’s process is built around you by creating customized banking solutions to fit your financial needs. Cox Automotive Inc. is transforming the way the world buys, sells and owns cars with industry-leading digital marketing, software, financial, wholesale and e-commerce solutions for consumers, dealers, and manufacturers. Committed to open choice and dedicated to strong partnerships, the Cox Automotive family includes Autotrader®, Dealer.com®, Dealertrack®, Kelley Blue Book®, Manheim®, NextGear Capital®, vAuto®, Xtime® and a host of other brands. CP Handheld is a product of CP Handheld Technologies, LLC, a developer of innovative software solutions for the retail automotive industry. We are headquartered in Fort Lauderdale, Florida with a Technology Center located in Newburgh, Indiana. Founded in 2003, CP Handheld’s web-based reconciliation tools are currently used by more than 1000 dealerships throughout the U.S. each month. Compliance & Service Start Here! At Crandall Corporation, your compliance and service are our job. Let us manage your compliance, training, recordkeeping, reporting, and materials management needs. * Inquire DMV records on trade-in vehicles and validate ownership, registration status, liens, registration stops, and/or branding. * Automate the title & registration process which eliminates costly errors on titles, fee calculations, and incorrect registrations. * Electronically file liens and title documents without taking time away from the dealership going to the tag office for processing. * Eliminate “blank checks” issued for title & registration processing through electronic movement of all applicable DMV fees. David Tifft & Associates offers services that encompass all areas of the Automotive Retail Sales and Service Business, providing keen insight, perception and simplicity to the most difficult and yet most important areas of our business. Our Company operates on three basic principles; Execution, Inventory Optimization and Asset Velocity. We bring these principles to your culture, synchronizing the moving parts of your organization. At Dealer Creative we strive for auto dealer advertising excellence and dominance each and every day. We also believe that since you’re investing good money on traditional media, digital marketing, or both, you should never settle for “average.” Why make a big media investment, then blow it by airing a commercial with no strategy behind it? Every dealership has it’s own story to tell, it’s own DNA. Car dealers’ TV commercials, radio ads, and pre-roll videos should paint a picture of professionalism and quality that reflects your dealership. Trust and believability are what today’s consumers demand and that’s why Dealer Creative delivers advertising excellence each and every time. There’s nothing like car dealer advertising… we absolutely love it. Dealership For Life was founded to create DEALER OWNED programs that allow dealers to not only BRAND their own program, but choose whether they want to self insure, re-insure or use a product warranty on any of their benefits. Dealership For Life administration can handle it all! What Exactly is the Dealership For Life Program? DealerOn, Inc. is the leading website and digital marketing company serving the retail automotive industry. In the last 12 months DealerOn’s websites have won virtually every meaningful industry award including: Driving Sales Top-Rated Website, Digital Dealer’s Overall Website Excellence Award, AWA’s Pinnacle Award, and Dealer Marketing Magazine’s Technology Award for Website Providers. DealerOn has become noted in the industry for their Lead Guarantee, based on their Digital Marketing Dashboard. Since creating this process in 2009, DealerOn has documented an average increase of over 200% in website lead volume for their auto dealer clients. DHG Dealerships has a team of dedicated professionals working exclusively with dealerships across the country. We serve more than 3,000 dealership clients across all 50 states, representing dealership groups of all sizes. We leverage our knowledge of and relationships within the industry to help identify solutions surrounding dealership trends and hot issues, which include: mergers and acquisitions, facilities and factory matters, performance, succession planning, risk and regulatory and people and talent acquisition. Providing our clients with industry thought leaders in our Assurance, Tax and Advisory Service Groups, we consult on best practices to help maximize efficiencies, increase profits and understand risks. A Partner worthy of your trust. We have been lending to dealers for over 60 years. Our dealer customers don’t just give us their trust. We know we have to earn it. And we do. Every day, we work with purpose to provide actionable insights into your particular challenges and to uncover new opportunities for growth. We deliver results by committing our 154 years of experience and expertise to you and your dealership. As your partner, your bottom-line success is our primary mission. Find out how we can help you drive results and grow your business at www.53.com/DealerFinancialServices. If you want to take your business to the next level with new equipment, a second storefront, or to double your workforce, First Bank, North Carolina’s largest independent community bank, is ready to help. Our financial experts work with local business owners every day to identify needs and deliver competitive rates on thoughtfully-designed lending products. From SBA loans to commercial mortgages, business lines of credit to construction loans, you’ll find a savvy business partner in First Bank. Come visit us today at any of our 101 locations across the Carolinas. Loans subject to approval. Member FDIC. Equal Housing Lender. Sale Every Wednesday - Damaged & Disabled @ 8:30 am & Fleet/Lease/Consignment @ 9:00 am. GAA’s state-of-the-art main facility offers 20 selling lanes; 11 equipped with simulcast, 16 Window Dealer Check In/Check Out Counter. GAA offers fleet/lease vehicles from Ford Motor Credit, Chrysler Financial, Bank of America, Enterprise/Alamo/National, Dollar Thrifty, Triangle, Hertz, C&F Financial, DriveTime and many more. Monthly Factory sales include Kia, Mitsubishi & Subaru & bi-monthly factory sales for Hyundai. Transportation and floorplan financing available on site. Ford Factory or Chrysler Factory Sale Every Thursday @ 10am at GAA’s Original Facility, on Tri-City Blvd, Greensboro. Sale Every Thursday at 9:30 am. Greenville Auto Auction is an independently owned, relationship-driven business formed by the Stallings family in July 2010. The auction is conveniently located on 42 acres and contains 5 lanes, a full-service grill, a vehicle service facility, and 24-hour security. GAA is a member of the ServNet Auction Group, a network of America’s premier independent auto auctions. GAA has the pleasure of doing business with BB&T/RAC, U-Haul, Flexco, First Investors, SECU, PFS, CARS, and GSA. The auction has established itself as a premier dealer sale in Eastern NC. Since 1982 GSFSGroup® has provided the automotive industry with value-added finance & insurance products and services to include: vehicle service contracts, GAP, tire & wheel, maintenance program, participation programs and a training division focusing on fixed and variable operations. GSFSGroup® takes pride in providing our partners a unique culture built on the values of honesty, integrity and results. Doing business with GSFSGroup® means building a lifelong relationship with a company you can trust. Service excellence is not just a “catch phrase” at Henderson Hutcherson & McCullough, PLLC…it is what we are committed to delivering to each and every client. For over 30 years, HHM has provided public accounting services to the Chattanooga area and beyond. We have built our business one relationship at a time with client satisfaction and service excellence as our main objectives. iHeartMedia - With over a quarter billion monthly listeners in the U.S., iHeartMedia has the largest reach of any radio or television outlet in America. Music Festival, innovative national and local promotions, and ground-breaking technology and products. 113 East Main St. 2nd Floor. Suite A. For more than 30 years, JM&A Group has helped automobile dealers achieve unsurpassed levels of finance and insurance performance in the retail automotive industry. Partnering with dealers across the nation, our goal is to help you turn today’s challenges into income-generating opportunities that lead you to new heights of profitability. 2012 - #33 by Forbes as Largest privately held companies in the U.S.
John’s Restorations is a family owned business that has served the Wake county area for over 26 years. 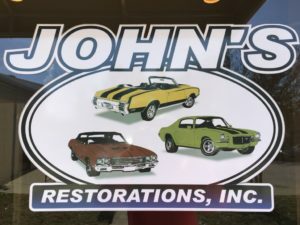 By providing our customers with superior quality of work and outstanding customer service, John’s Restorations is the #1 paint and body shop recommended and used by area dealerships. Our highly skilled technicians are trained to deliver superior work and service to our customers. You will be able to meet and talk with one of the technicians that will be personally working on your car. You will receive a free estimate when you bring your vehicle to our shop so you will know all costs up front. If you have an insurance claim, we will gladly work with your insurance company to get your claim processed quickly. Contact us today to find out why area dealerships and people have been using John’s Restorations for their auto body paint and repair needs since 1992! Johnson, Hearn, Vinega & Gee, PLLC is a full service law firm with offices located in downtown Raleigh that has represented automobile dealers, small and large, for over 30 years. The Firm’s statewide practice emphasizes numerous areas affecting automobile dealers including franchise disputes with manufacturers and distributors, DMV citations, F&I compliance, contracts, regulatory compliance, corporate law, buy-sell agreements, employment matters, legislation, advertising, consumer complaints, litigation, administrative law, arbitration and state and local taxation. KEEPS, Inc. helps service managers, fixed operations directors, general managers and dealer principals find and keep hidden net profits in their service departments. We help dealerships make more net profits from a single point dealership to the largest chain dealerships. KEEPS is about management by measurement, looking at key performance indicators and teaching personnel to be proactive on a daily basis as opposed to being reactive to data that may be weeks, months or even a year old. Click here to watch video testimonials. Better Workplace. Better Workforce. Better World. This simple statement is what guides our business. We believe that our partnerships, and our people are the foundation of our success. For 30 years, KPA has delivered solutions to businesses like yours. KPA provides innovative software solutions, interactive training, and compliance audit services that help our clients establish and manage effective environmental health and safety, human resources, and sales and finance programs, achieve regulatory compliance and control risk, and effectively train and manage people through a combination of innovative software, award winning training, and onsite consulting. Small businesses to Fortune 500 companies at over 6,500 locations rely on KPA’s expertise, and years of experience to help them manage all of their Environmental Health and Safety, Human Resource Management, and Sales and Finance compliance challenges. L2T’s platform powers everything we do for our dealers – from driving programmatic ads and real-time results to supporting strategies specific to your dealership’s goals. Serving the auto industry for more than 11 years, L2T has delivered paid search, display, video, paid social, SEO, social media and reputation management solutions for your dealership. Manheim Darlington- The Best Service in the Industry offers General Motors Factory Post Card Event Sale at 1PM, TRA-Total Resource Auction at 12PM, & Specialty Sale on scheduled Thursday’s. The New GM Dealer Lane, Major Fleet Lease, Dealer Consignment every Thursday at 9:30AM featuring 2000+ vehicles including GMAC. Every Monday at 9:30 a.m. TRA Sale: 1st and 3rd Monday at 8:30 a.m.
Manheim Statesville, “Where Service & Hospitality Meet”. 20 lanes of action offering 5000+ units weekly. In-house transportation, reconditioning, body shop, and mechanic shop. Major Fleet Lease and Factory Accounts plus large dealer consignment. Sales every Tuesday at 9:00 am. Mark Thomas Media is a full service advertising agency located in Wake Forest, NC. 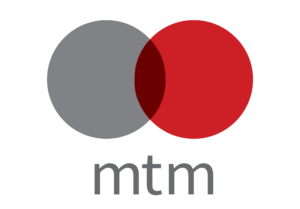 Our journey began when Mark Thomas and Travis Marshall came together and combined their passion for helping people and advertising experience to found MTM. Our mission is to offer marketing/advertising solutions to our clients to GROW their business with unique and often layered digital and traditional tactics. To MTM, advertising is a process. A set of fundamentals and steps that we follow in order to make sure that our client’s advertising budget is being spent as efficiently as possible. MetroTech manufactures the First Place Finish Car Care System as well as a full line of reconditioning products. MetroTech also markets and administers the ChopCop Theft Protection System. Retirement programs – NADA’s affinity relationship with Empower Retirement offers our members a competitive retirement program specifically designed for Dealers and their employees. Dealer members have access to high-quality retirement plans with competitive fees and a wide array of investment tools. Empower Retirement, the second-largest retirement services provider in the US, brings knowledge, specialized service, and a high-tech user experience through their interactive website. Contact Empower – Gregg Famely stands ready to help you build a plan designed to meet and exceed your retirement plan goals. Gregg can be reached at gregg.famely@empower-retirement.com or by calling him directly at (571)535-1147. Naked Lime provides the personnel, the industry experience, and the vision to enable dealerships to delight car buyers at every step in the shopping process. Every interaction between a consumer and a dealership is a chance to proudly represent the dealership brand – pride we feel as well, as a partner to our dealers. We are in the business of exceeding expectations for our customers, and for our customers’ customers. The consultative approach Naked Lime uses to create more cohesive, effective, personalized marketing for each dealership is different than anything else in our industry. It’s a complex strategy with a simple mission – instead of turning up the volume to shout over your competition, we make your marketing matter to your customers. Netsertive’s intelligent online marketing platform brings OEMS and local dealerships together to win local customers. Based in Research Triangle Park, North Carolina, the company leverages its proprietary data intelligence engine and deep expertise in the automotive industry to deliver unprecedented speed, performance and value from campaign enablement through execution. Netsertive also offers co-op marketing approval and reimbursement facilitation to its customers. Founded in 2009, the company has a history of rapid growth, a world-class team, and the strength of venture capital funding from top firms RRE Ventures, Harbert Venture Partners and Greycroft Partners. Netsertive was recently named 2014 Software Company of the Year by North Carolina Technology Association and appeared 9th in the Triangle Business Journal’s Fast 50. Additional information about Netsertive is available at www.netsertive.com. Phelps Digital is a management firm based out of Raleigh, NC. We specialize in Digital Vendor Management. We are completely non-biased because we don't run any ads and don't take kickbacks. We know the right questions to ask and how to maximize your digital performance and your budget allocation. Piedmont Insurance is based in Mooresville, NC and serves a broad range of customer in the mid-atlantic states. We have a particular niche in franchise auto/truck dealerships in NC, with very experienced agents, expertise, and competitive insurer relationships- including First Benefits Mutual, who is the official Workers Comp insurance partner for the NCADA. We are proud to be a member of the NCADA and serve our fellow members for all risk management and insurance related services. Dan Brantmeyer is the lead representative and licensed agent for franchise dealers and he can be reached on his cell at 704-904-1440. For nearly seven decades, PNC has provided a consistent source of financing for auto dealerships through all kinds of business cycles. Now more than ever your dealership needs a financial resource with a real understanding of your business and personal financial needs. PNC Dealer Finance group is committed to delivering competitive rates, access to the credit you need for inventory and facility requirements, innovative retail financing programs and an array of financial services that can build employee loyalty and enhance your personal wealth. All these services are available through your dedicated relationship management team, one that lives in and understands your market and that is equipped to respond to your specific needs. Providing accounting, auditing, tax compliance, tax consulting, dealership buy/sell assistance, out-of-trust assistance, fraud investigations, general dealership consulting and integrated with dealer personal financial objectives, operations analysis, internal control studies, dealership transition and estate planning, and a variety of other client specific services to dealers and their families for over 16 years. We work with dealers throughout the southeastern United States. Members of AutoCPA Group, NCADA, regular participants at NADA convention, members of AICPA, NCACPA and PCPS. Proactive Dealer Solutions is the industries leading training and consulting company specializing in the implementation and rehab of Business Development Initiatives within automotive dealerships. We have distinguished ourselves as The BDC Experts, the leader for Automotive Business Development across the US and Canada serving over 3,000 automotive retailers for over 25 years. We work with dealerships to increase their business without increasing their advertising budgets by maximizing the sales and service opportunities they currently have. QB Business Solutions closes the gap between a Dealer’s compensation for Warranty repairs compared to the Dealer’s Retail Rate. We have over 175 years of Dealership Operations experience, combining Business Knowledge and Modern Technology. Our one on one consultative and personalized approach ensures accurate submissions and long-term sustainable profits for our clients. QB Business Solutions works with every Brand in all 50 states. Our team is thoroughly versed in state law and factory procedures and all work is performed in our office and never outsourced. We do all the tedious and burdensome work, leaving the Management Team free to run their Departments. On average our clients receive between $150,000 - $275,000 annually. QB Business Solutions never charges a set up or administrative fee and we don’t get paid until our client gets paid! Resources Management Group has been the trusted income development choice of dealers since 1985, providing F&I support, recruiting and dealership training, and profitable reinsurance programs. Our F&I automotive consulting specialists are seasoned professionals with successful retail experience to apply in your dealership. Reynolds and Reynolds is a leading provider of automobile dealership software and services to help dealerships deliver better results and transform the customer experience. Reynolds ERA® and POWER systems, backed by award-winning service and support, offer dealers superior applications to help them work smarter and more efficiently. Built on nearly a century of success, Reynolds, Bone & Griesbeck delivers the highest quality tax, accounting and advisory services available to our clients. Our founders were among the first certified public accountants in the state of Tennessee; our staff today continues to be among the finest as well. This commitment to custom-tailored client service is why we are honored to serve some of the most prominent businesses in the Mid-South. These include leaders in the fields of manufacturing and distribution, financial institutions, real estate, non-profit and retail. We welcome the opportunity to discuss how we can help you meet your financial goals. Risk Theory Dealer Advisors is a dealer-centric F&I provider, offering the best of both worlds - the scale, support and expertise of a "Big Box" provider combined with the flexibility, stability of personnel and efficiencies of an Independent Agent. Risk Theory Dealer Advisors (RTDA) offers a host of vehicle protection programs, which incorporate dynamic coverages and benefits for today’s consumer. Additionally, the company provides training & development, consulting, technology, and customizable profit participation programs. Risk Theory Dealer Advisors - F&I Reimagined, F&I Disrupted. Why RouteOne? Low cost, efficient dealership solutions. Unparalleled service and support. A flexible system that allows YOU to decide how you want to conduct business. Valuable credit application and compliance tools that allow you to manage your entire book of business within a single portal. Mobile technologies that let you view and manage your deals on the fly. Seamless credit bureau and DSP integration. Why NOT RouteOne? Sentry Insurance is one of the largest and most financially secure mutual insurance companies in the United States, holding an A+ (superior) rating* from A.M. Best. Sentry and its subsidiaries sell property and casualty insurance, life insurance, annuities, and retirement programs for business and individuals throughout the country. 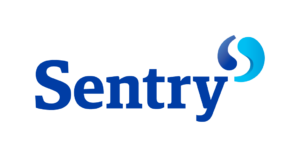 Headquartered in Stevens Point, Wisconsin, Sentry employs more than 4,000 associates in 41 states. See a complete list of underwriting companies at www.sentry.com. *A+ (superior) A.M. Best Financial Strength Rating (FSR) current as of May 2018. See ambest.com for rating information. Time Warner Cable Media, now Spectrum, has partnered with the automotive industry for years to ensure the development of the most effective solutions to address franchised automobile, truck and RV dealers’ business issues. Spectrum Reach Automotive provides television and online marketing solutions that leverage research, creative, marketing and production to connect marketers with targeted audiences across platform. This unique approach allows dealers to reach a broad range of potential new and used vehicle buyers by geographic location and demographics throughout their day. At SunTrust, we understand the unique challenges you face in raising and managing capital to finance blue sky, real estate and inventory. Our auto dealer banking specialists currently serve more than 600 dealership clients and have decades of combined experience in auto dealer financing. We are active in local and national dealer associations, so we have a thorough knowledge of industry and local market issues. SunTrust helps auto dealers solve complex financial challenges through a full range of products and services. We take pride in offering sound, sophisticated advice as well as superior client service. Overall, we want to help position dealers for smart growth and financial success. TD Bank through TD Auto Finance offers a full range of products and services for automobile dealerships. We are a full service provider of indirect lending, floorplan financing, commercial loans and depository products for our customers in North Carolina. Our Dealer Relationship Manager will be your single point of contact for your retail and floorplan financing needs. TD Bank has over 45 years of automotive financing experience. We can offer guidance and smart solutions to keep your dealership moving in the right direction. Teague Campbell Dennis & Gorham, LLP is a law firm with offices in Raleigh and Asheville whose clients include large, multinational companies, small businesses, and a variety of governmental entities. By understanding our clients’ business, we are able to provide personalized service aimed at reducing risk and eliminating unnecessary litigation expense. When litigation is necessary, Teague Campbell is prepared with focused, experienced, and tenacious counsel who will fight for your interests, guided by the compass of your business concern. Practice areas include workers’ compensation and employment law, trucking and commercial transportation law, garage liability, motor vehicle negligence, real estate and construction litigation, premises and product liability, insurance coverage disputes, environmental law, and corporate and other business litigation. Our team has successfully accomplished this by developing strategic partnerships with providers that are leaders in the market they facilitate in. We are not only proud of the quality partnerships we have developed, but we also pride ourselves with having assembled the very best profit-building team in the industry. We are confident that by taking the time to get to know us, you will agree! TradeRev has become one of the most trusted automotive auction systems in North America. Available on iOS, Android and the desktop, TradeRev redefines wholesale activities for sellers and buyers by introducing a process that lets them sell and buy cars at any time, wherever they are. On TradeRev, new car dealers can launch Trade Appraisal Auctions within minutes of receiving the trade-in, giving buyers access to fresh trades. Anyone with a mobile device can easily create a quick, detailed and accurate trade appraisal right from their lot with the retail customer still in the showroom. United Tranzactions has been guaranteeing checks for over a decade. We offer all of the services available in the industry. We have made an art out of tailoring solutions to meet the needs of our subscribers. Unlike our competition, United Tranzactions will customize a program that is just right for you. With offices in North and South Carolina, Watson employs over 70 associates who take pride in remaining leaders in our industry through their commitment to furthering their education and continually adapting to new, innovative technologies. Our dedication to remaining on the forefront of technology and industry change allows us to provide our customers with real time, online policy management and claims servicing. 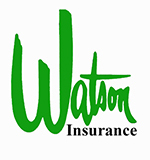 As one of the largest independent agencies in the Southeast, Watson is partnered with over 30 top rated, financially sound insurance companies. Through partnering with these prominent carriers our dedicated staff can explore many options to tailor an insurance program that best fits your needs. Call us today so we can help you protect what’s important! Wachovia Dealer Services is now Wells Fargo Dealer Services. Our name has changed, but our commitment to serving the auto dealer community in North Carolina hasn’t. We’re proud to say we’ve provided banking services to NCADA for over 75 years. Today, we offer dealers integrated solutions including indirect auto financing, commercial banking services through Wachovia Bank, a division of Wells Fargo Bank, N.A., and aftermarket products from Warranty Solutions®, a Wells Fargo company. Count on strategic thinking, proactive ideas and innovative financial solutions from your experienced relationship team to help you improve dealership profitability. We look forward to serving you. Williams Overman Pierce, LLP serves a wide range of clients, the majority of which are closely-held businesses. We provide traditional services such as audit and accounting, financial disclosure and tax preparation and planning. However, consulting has become an integral part of the services we provide to our clients. Our firm also provides litigation support, business valuations, expert testimony, strategic planning, systems and controls, profitability analysis and many other general business consulting services.